When deciding which contractor to go with, you are warned to look for the obvious; make sure they are properly licensed, try and use a local company and make sure they have a strong reputation. An alarming new trend is on the rise and it may make your thorough research obsolete. 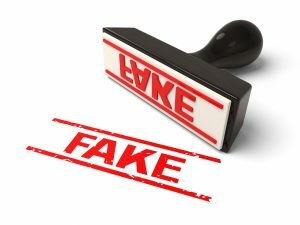 It is something called the “fake reputation” economy and in short, it is when businesses gather fake reviews on websites like Yelp, Angie’s List, and Facebook to create a false image of their company. Where Does the Fake Reputation Economy Stem From? Businesses have learned in recent years just how crucial a strong online reputation is to consumers. Before trying a new restaurant, you look at Yelp or Google reviews. Before ordering a new running shoe or pair of headphones, you look through the Amazon reviews for validation. Before working with a contractor, you scan their Facebook reviews and Angie’s List verified reviews. Even more, a handful of reviews doesn’t cut it anymore. The problem for a business owner is getting a high quality and quantity of reviews while trying to manage all other aspects of their business. To this point, it is not just bad companies trying to create a false image but also good companies trying to validate it online. The new dilemma for consumers is deciphering between the two. In 2013, the New York attorney general fined 19 companies between $2,500 to $100,000 each for breaking business laws and creating fake reviews. 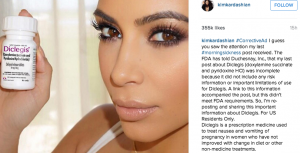 More notably, Kim Kardashian got in trouble with the Federal Trade Commission for posting an Instagram “ad” for a morning sickness pill and not disclosing she was paid to post it. While, the FTC tries to combat this increasing issue for consumers, popular review websites like Yelp, Angie’s List and even Facebook are trying to crack down on the problem as well but it is incredibly difficult. Businesses can create fake reviews in a number of ways, the most popular being hiring a marketing company do it for them. The business tells the company what attributes they would like the reviews to highlight such as great customer service, reasonable pricing, or quality craftsmanship. Sometimes, a business will take the reviews into their own hands, posting an ad on Craigslist and paying $5-$10 for a review. Fake reviews may even be coming from friends and family of the business owner who of course, have a bias. In months or years to come, the Fake Reputation Economy may not be as big of a threat to consumers but until consumer protection organizations and review websites make it more difficult, here are a few signs to keep in mind when researching a company’s review and testimonials. Time frame: Pay attention to when each review was posted. If most were posted all in one or two days of each other, that is cause for suspicion. Also, if the business had few to no reviews and suddenly received an influx. Reviewer Demographic: While, not possible on all platforms, if you are able to look at a reviews profile, do so. Are they most likely too young to be utilizing the services in their review? Do they live in the local area? Is their account active? Can you see what other companies they have reviewed and are they consistent, i.e, not some in other states or multiple business of the same industry. Wording: All of the reviews talk about the same specific product, have a similar story of initially being turned off but satisfied in the end, or seem to highlight the same attribute. With enough reviews, there are bound to be repeats but most customers will not coincidentally have the same thing to say.